Going short just in time for the holidays! I haven’t rocked short hair in a few years, but now that I finally found an awesome hairstylist in Las Vegas (@hairbypinkie), I’m ready to experiment again. I’m excited to have an easier styling process at home and get my hair ready much faster than before. On another note, I’ve been obsessed with these cute mirror sunglasses I found on FlashFrames. In fact, you can find similar styles here. FlashFrames will let you upload a photo of your dream glasses, and find you a similar frame just for a fraction of the price. You know I’m all about saving and finding a good deal on my outfits and accessories, so I couldn’t pass it up. You should definitely try it and see for yourself. In the meantime, wishing you all a bright and joyful holiday season! Loving the new hairstyle and that cute outfit of yours too!!! Thank you, Darlene. Finally got the mom style haircut, haha So much easier to style and maintain! Hah! You look like a model, my friend! Your hair is beautiful and that hairstyle is been a trend since the beginning of the year,so you are rocking! 😉 ….btw,looooove those flares you are wearing! LOVEEE your hair! And this whole outfit! 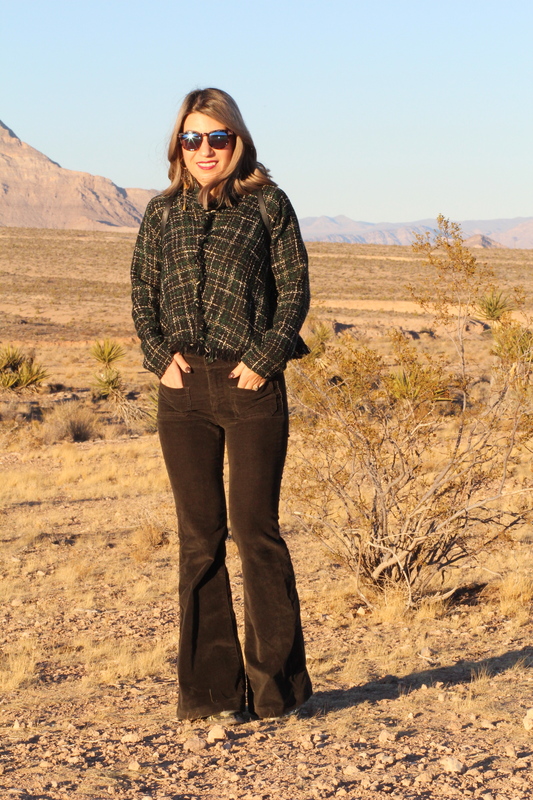 I need to find a good pair of flares! Thank you – these are very old, but I’m so glad they are back in style! I’m diggin’ the new ‘do! LOVE that jacket! So cute!